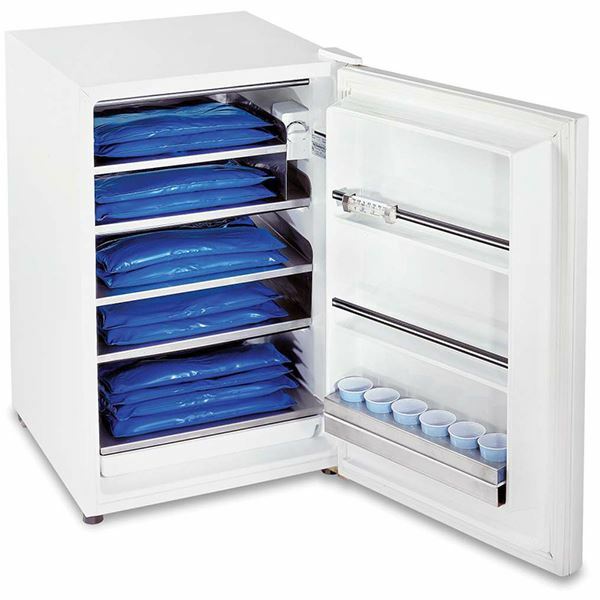 This five cubic feet unit has four convenient quick freeze shelves. Each shelf, made of durable stainless steel, comes complete with trays and cup holders. 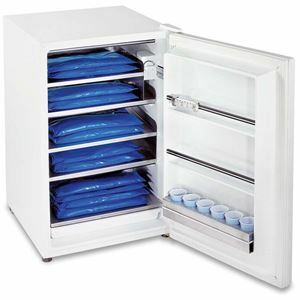 Includes 12 ColPaCs which can be recycled every two hours for use. 33.5” high, 21.25” long and 26” wide.